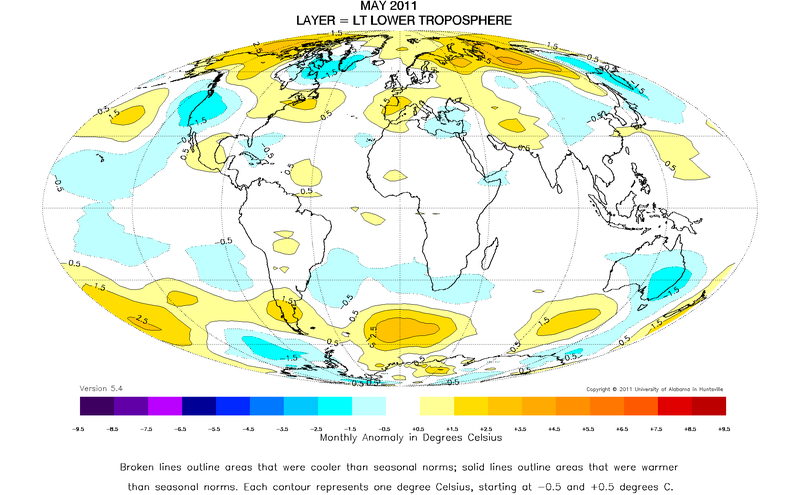 May 2011 Lower Tropospheric Temperature Data From The University Of Alabama At Huntsville | Climate Science: Roger Pielke Sr.
Philip Gentry has provided us with the latest information on global lower tropospheric temperature anomalies. This report is presented below. get accurate temperature readings for almost all regions of the Earth. This includes remote desert, ocean and rain forest areas where reliable climate data are not otherwise available. federal and state grants or contracts.